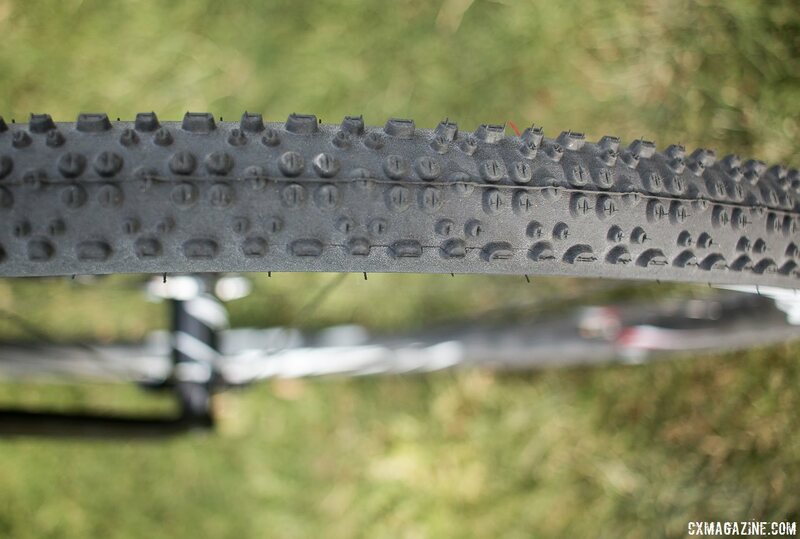 You’d be forgiven for thinking Schwalbe had just one X-One tubeless cyclocross tire. See each version separately, and you’ll probably think you’re looking at the same round knob 33mm clincher tire. 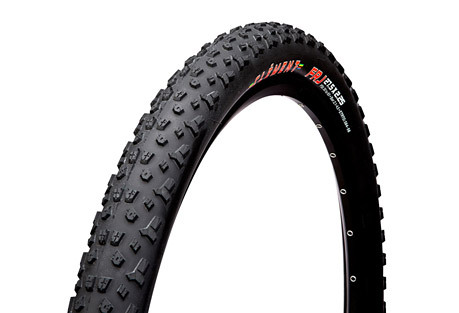 A few of us at CXM initially made the same mistake when we opened a box of review tires. 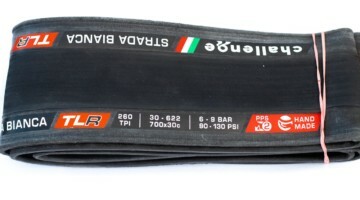 However, side-by-side, it’s clear Schwalbe has two tubeless tread options for cyclocrossers, not counting the rare Super Swan UST 35mm tire. 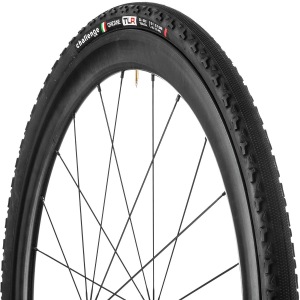 The “standard” X-One from Schwalbe is an all-around tread, with shorter, tightly-packed center knobs and oval side knobs. 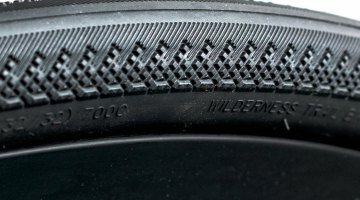 On Schwalbe’s website, the tire is even labeled as the Schwable X-One Allaround, even though the tire itself doesn’t have the Allaround moniker. We’ve had decent results with the original X-One in tubeless use, as it’s been relatively easy to set up on most tubeless rims, has been burp-resistant, and grippy in varied dry conditions. If we had one complaint, it’s that the side knobs are a bit flexy in hard cornering, and could use a bit more support to avoid that squirm in fast, hard-packed corners. Another observation we had is that it certainly wouldn’t be our first choice in sloppy conditions. That’s not a knock on the Schwalbe X-One, just an observation that just as with any other tire, it excels in some conditions more than others. 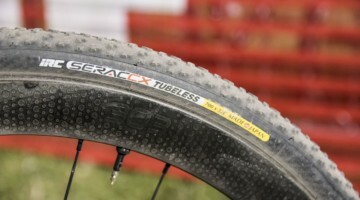 Schwalbe has the answer for tubeless cyclocross racers, however, and it’s in the form of the new Schwalbe X-One Bite. 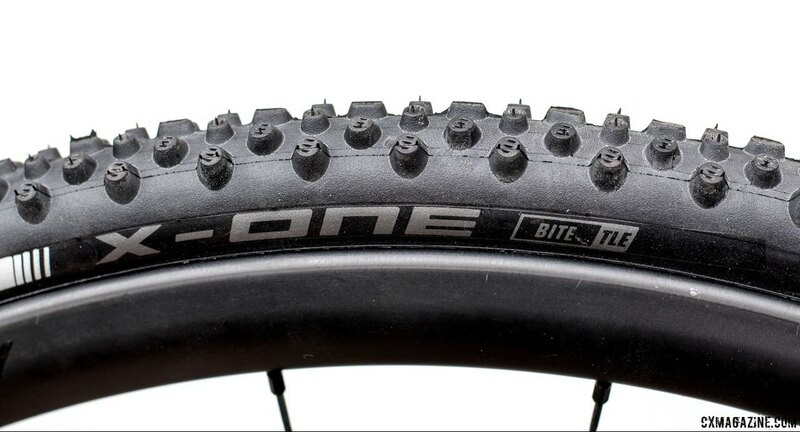 The Schwalbe X-One Bite’s side knobs have a wide base to help reduce squirm, which is necessary considering their 4mm height. The new for 2017 Schwalbe X-One Bite gains 20 grams over the standard X-One, but has deep, thick cleats to dig into the slippery mud and grass on those courses saturated with rain and full of off-camber sections. The original X-One cross tire has a claimed weight of 370 grams, but our samples have come in with actual weight of 390-400 grams. 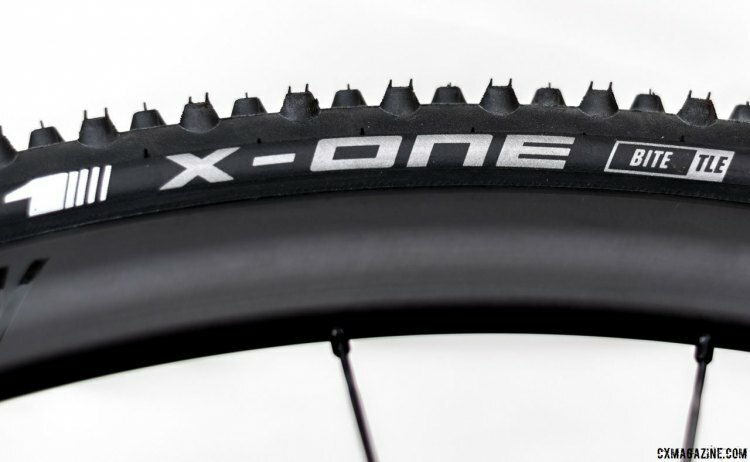 The actual weight of the X-One Bite Microskin Tubeless Easy folding bead performance tire is 410 grams, again a bit more than its claimed weight of 390 grams. Taller, bigger, tapered knobs promise to bring more bite to your bike when conditions get soft, and for some, bring back memories of the Onza Porcupine mountain bike tire. The bigger side knobs, even though taller than those on the X-One, are also better supported and less flexy. 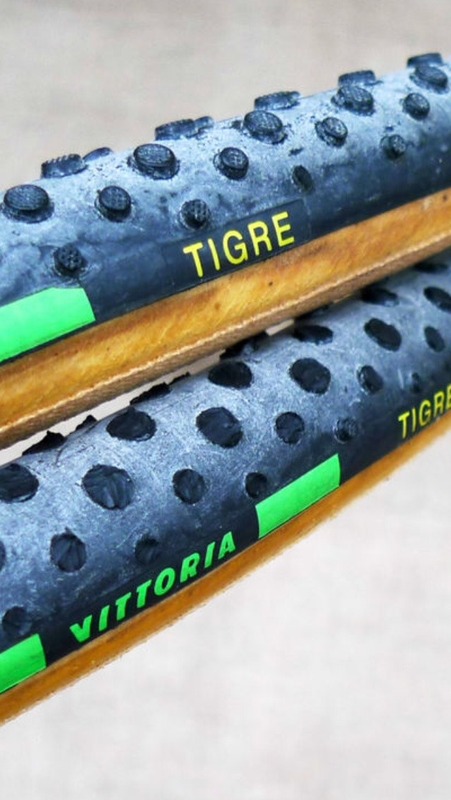 Round knob tires are nothing new of course, and even in cyclocross, racers thirty years ago had Vittoria Tigre and Clement Elite Cross tubular options. 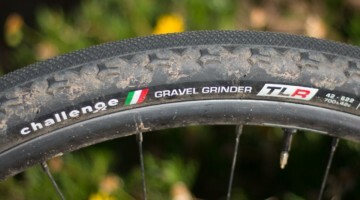 But the Schwalbe X-One Bite is the first modern round knob cyclocross tire with the knob height and volume for really muddy conditions and tubeless use. The omnidirectional tread is studded with tall oval knobs that are 3mm tall centrally and 4mm tall peripherally. That’s a millimeter taller than the standard X-One, and with larger dimension studs. The central line of knobs are lined up with the ovals in the long axis, but the others are perpendicular to the tire axis. Each knob has some sipes, as does those of the standard X-One, though we’re not convinced they make any difference for water management. 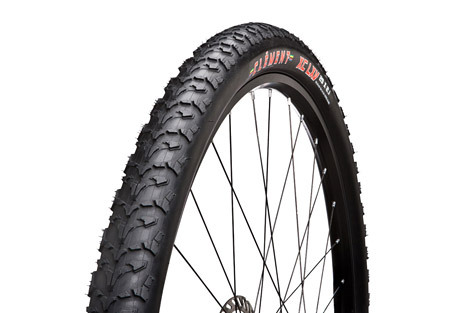 The tire is indeed an easy tubeless-mounting tire, and inflates easily without sealant on the few rims we’ve tried so far, though we recommend sealant to seal the deal. Depending on the rim, the original X-One spans 32-33mm, the X-One Bite gains just a hint more width from the tall knobs protruding slightly outwards. 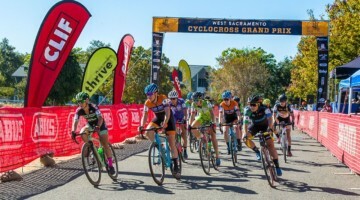 Initial rides have proven the tire to be relatively supple for a tubeless cyclocross tire, and the knobs have been very effective in providing great traction in soft, wet grass and slippery, muddy conditions. It also sheds mud and organic material well, making it one of our tubeless favorites so far in pure, muddy conditions. 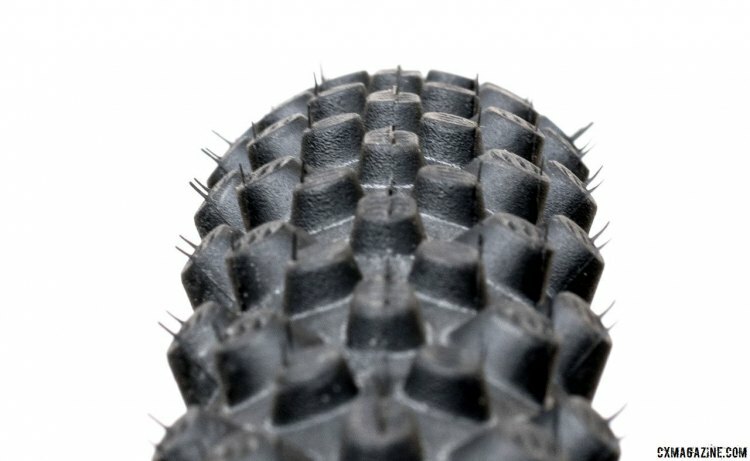 Unfortunately, due to the really tall knobs, it’s a bit of a specialty tire, as it’s not an ideal choice for a dry, hard pack course, especially one with a lot of pavement. It does well, however, in very loose conditions. Find yourself cornering or climbing often in loose-over-hard surfaces, and you can trust the Schwalbe X-One Bite will find the hard surface underneath. 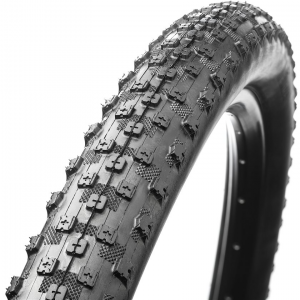 As with other top-end Schwalbe tires, as aftermarket products, they’re not cheap. The Schwalbe X-One Bite tubeless retails $88.77 per tire, although there’s a non-tubeless version that’s lighter on the scale (by 30 grams) and wallet ($50 cheaper). 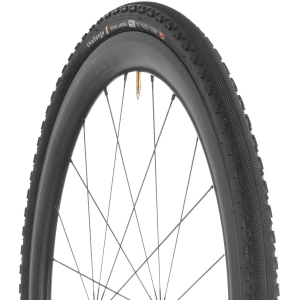 Price aside, the X-One Bite might be a smart addition to a 2017 Hartford Nationals packing list, especially if your only tubular race wheels have a set of all-around tires glued to them. Stay tuned as we test the tire on more rims, in more conditions and races. Waite to much $$$ for tubbless and 38 40 mm is way 2 go ! !